Are you suffering from back, neck or shoulder pain? Migraines or tension headaches? Do you have fibromyalgia? Do you experience numbness and tingling, joint pain, or muscle pain and tension? Are you recovering from an injury or accident, or experiencing whiplash? Do you want to improve your posture or address a spinal condition or asymmetry? Gentle NUCCA chiropractic treatments from Discover Chiropractic can help restore your health. The gentle, caring chiropractic treatment of Dr. Reanna Plancich helps heal and restore your body to its optimum health, vitality and functioning. An expert in the upper cervical chiropractic approach, she pinpoints the type of adjustment necessary to open up the brain-body communication channels and provide relief and healing. Your body will feel better and function better. At Discover Health Chiropractic, there is no crunching, cracking or twisting necessary. 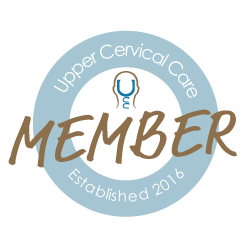 The NUCCA upper cervical method of chiropractic treatment is precise and gentle. It aligns the head to the spine, restoring your body’s ability to regulate and heal itself without drugs or surgery. NUCCA patients experience amazing relief and longer lasting results. Get your head on straight and all else follows. Dr. Reanna Plancich serves Seattle and the surrounding area. Specially trained in upper cervical chiropractic care, she takes a holistic approach to helping her patients achieve their health and wellness goals. She has special expertise in the area of whiplash, helping accident victims recover full functioning and live pain-free. She and the rest of the team at Discover Health Chiropractic are committed to providing chiropractic solutions to address your unique needs, whether you are experiencing back pain, neck pain, headaches, or even muscular tightness and tension. You may be searching for pain relief after an injury, or suffering from a specific ailment like chronic back pain, Ménière's disease, fibromyalgia or a spinal condition. Even if you’re just looking to improve your overall health, our chiropractic alignment can help you attain your everyday wellness goals! NUCCA is an acronym for National Upper Cervical Chiropractic Association. It is a non-invasive and precise form of chiropractic treatment, in use for more than 40 years. Without jerking or twisting movements, patients experience gentle, pain-free treatment and many feel immediate relief. NUCCA helps restore the structural alignment of your spine and neck. With proper alignment, the body’s natural healing mechanisms can work effectively and restore your energy and full range of movement. Learn more about NUCCA. We are committed to your comfort and care. The Discover Health team understands how important it is for you to feel welcome and comfortable when visiting a health care office. We create a warm, relaxing and inviting experience. At your first visit to Discover Health Chiropractic, Dr. Reanna Plancich will explain how NUCCA chiropractic care works and give you a full evaluation. If our treatment solutions are a good fit to address your needs, we can customize a plan of chiropractic care for your condition so you can achieve your health goals. For more information or to schedule an appointment at our Seattle office, Email Us or call (206) 577-3588 today. Visit our testimonials page to find out what our patients are saying about our Seattle chiropractor and our chiropractic care plans. If you have not been to a chiropractor before and want to find out more, please Email Us or call (206) 577-3588 to receive the answers to your questions from our experienced team. We also welcome referrals, so we invite you to share our chiropractic and wellness information with your friends and loved ones. We invite you to stay informed about the latest in chiropractic care and to start receiving free articles with valuable health and wellness information. Subscribe to our bi-weekly newsletter (below), even if you are not a patient. We also offer a Patient Wellness Center that includes wellness articles and other healthcare resources. Request a consultation with Dr. Plancich. Sign-up using the form or call us at (206) 577-3588.